I thought my goal for November would be a fairly simple one to get done. 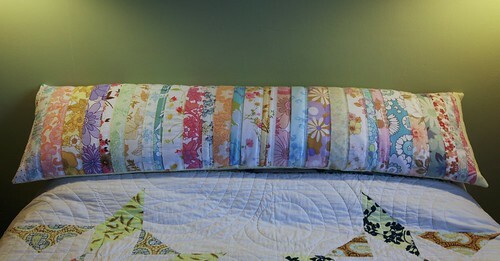 I needed to finish quilting a pillow top and then turn it into a pillow cover. 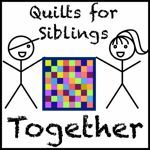 The quilting seemed to take forever, I opted to try out some of the decorative stitches on my machine, obviously the more intricate they are the longer they take! 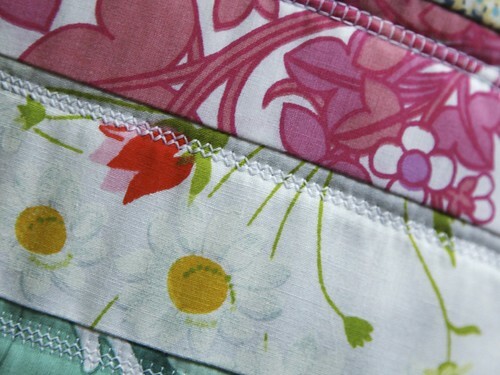 All 33 strips were eventually quilted and then all I needed was a long zip. I hadn’t realised that the length of continuous zip I had left was not going to be long enough so I had to order more and while I waited other things took up my time. 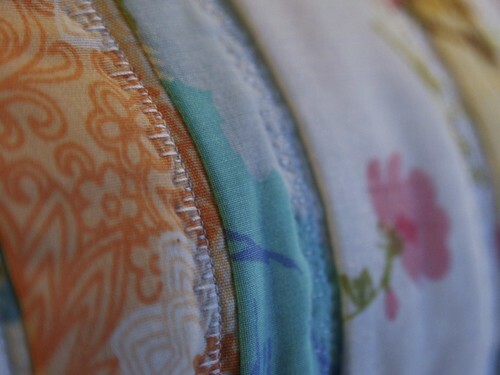 It really turned out way better than I’d hoped and it’s great to use up some of the ‘scraps’ of vintage sheets. If you want to make one yourself then I have scrap packs in my shop and this weekend they are 50% off too! It is so beautiful! Great finish! I finished mine but haven’t posted yet. Well done! It came out fantastic! It’s so bright and cheerful! Congrats on a beautiful finish! 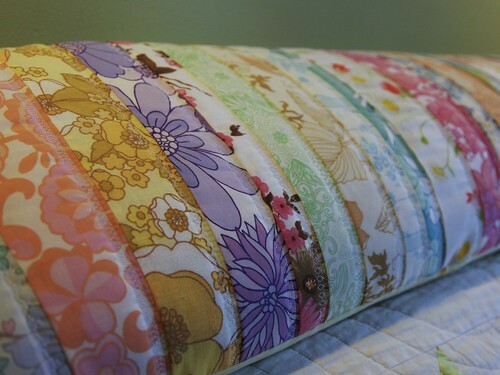 What a fun and fabulous pillow!!! I love all the different stitches you used to put this together!! Congratulations on achieving your November goal! Love that long pillow. Beautiful job. 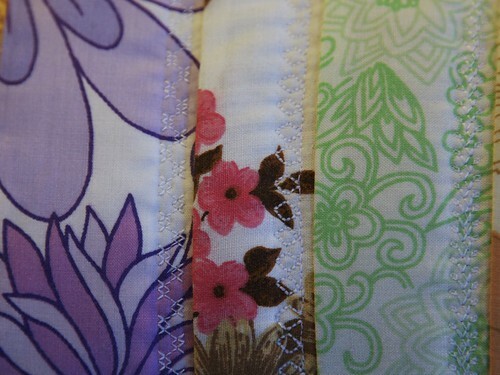 Gorgeous finish, and such a good idea to try out those seldom-used stitches on your machine!